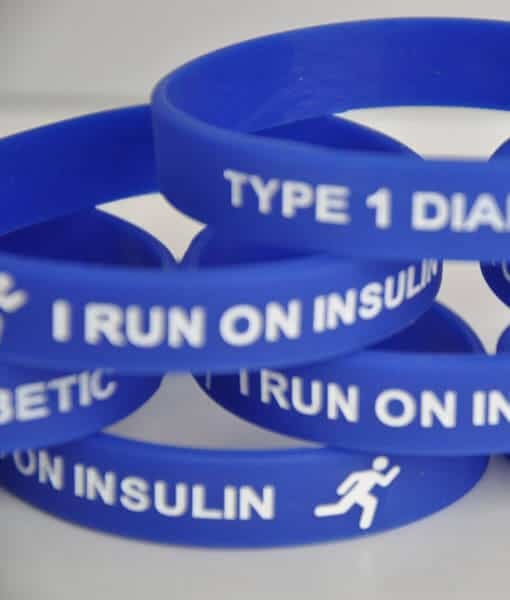 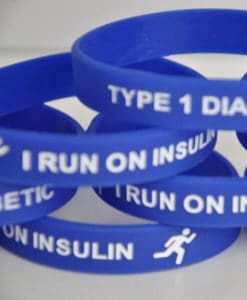 Silicone band embossed with “I run on Insulin” on one side and “Type 1 Diabetic” on the other. 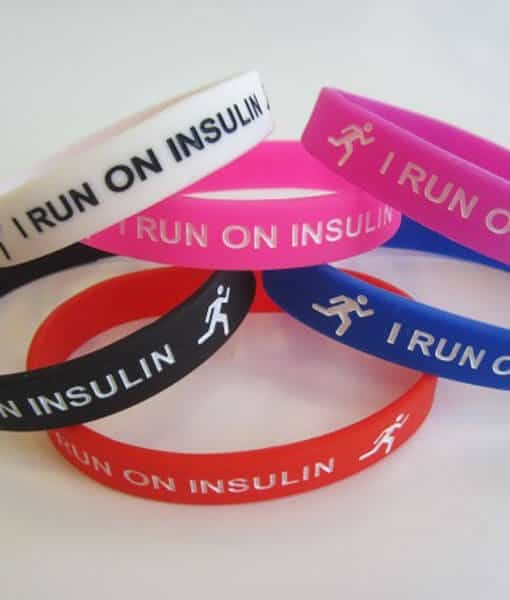 Made from 100% Medical grade silicone, the band is easily sterilised and is hypo-allergenic (non-toxic). Light-weight, waterproof and 20cm in size, it will not tarnish or get in the way of work and play.